Michael van Gerwen and Raymond van Barneveld fired the Netherlands to victory in World Cup of Darts by defeating reigning champions England in the final on Sunday. RAYMOND VAN BARNEVELD ended nine years of disappointment as he defeated Phil Taylor and Michael van Gerwen in one glorious night at The O2 in London as he lifted the Betway Premier League Darts title. Raymond van Barneveld produced a stunning performance on the first night of the 2014 Premier League Darts as he swept aside Gary Anderson in Liverpool. 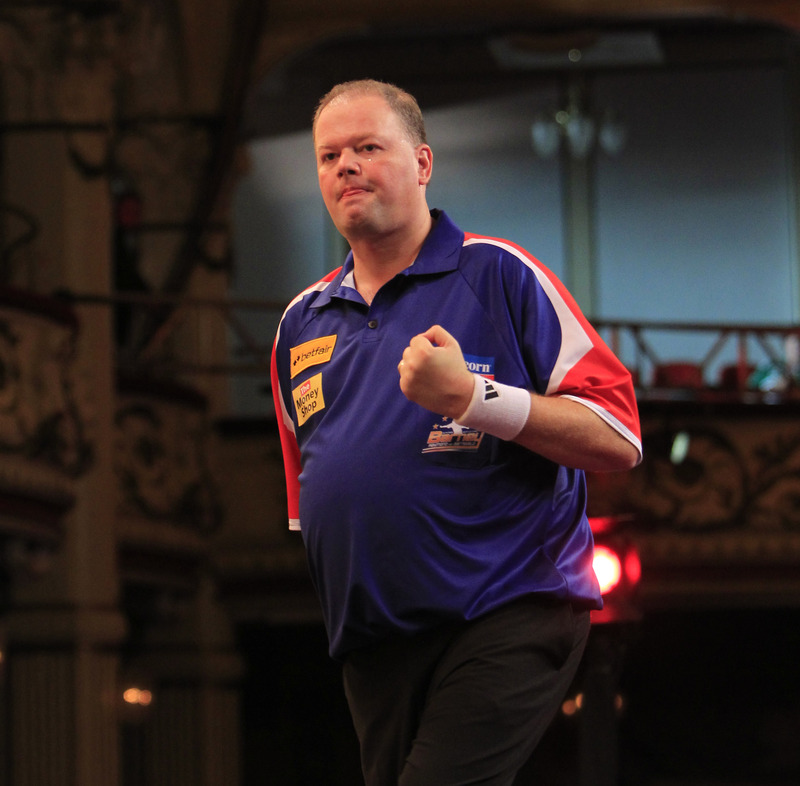 Five-time World Champion ‘Barney’ 108.52 in a 7-2 triumph of his Scottish opponent, hitting seven darts towards a potential perfect leg in the process. “It just felt right up there tonight,” said the Dutch great. “I’m really really happy. I’m not feeling any pressure at the moment but I know I can achieve so much more in darts. Raymond van Barneveld missed out on a place in the World Championship quarter-finals after being edged out by Mark Webster at Alexandra Palace on Friday. Raymond van Barneveld reached the last 16 of the World Darts Championship after coming out on top in a thrilling clash with Jamie Caven on Friday night. The five-time World Champion fired in the highest three-dart-average of the tournament so far, finishing on over 99 as he progressed to round three. Raymond van Barneveld progressed into the second round of the World Darts Championship with a straight sets victory over Jamie Lewis. 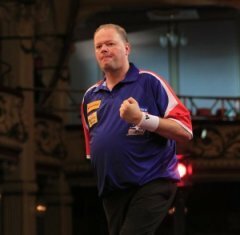 Dutch darting legend Raymond van Barneveld has no less than 15 major titles to his name, making him the greatest ever player from his homeland. Raymond van Barneveled pipped Robert Thornton at the finishing post to set up a quarter-final clash against Phil Taylor at the Players Championship Finals. ‘Barney’ had missed six match darts as an 8-6 lead slipped away from him before punishing his opponent for missing three darts to progress in a dramatic deciding leg on Saturday evening. The Dutchman will face world number one Taylor on Sunday afternoon after ‘The Power’ saw off Peter Wright. Raymond van Barneveld booked his place in the last 16 of the Players Championship with 6-5 victory against Mervyn King on Friday evening. The Dutchman, who was knocked out of the Grand Slam of Darts by King earlier this month, gained his revenge by edging an exciting first round match in Minehead. 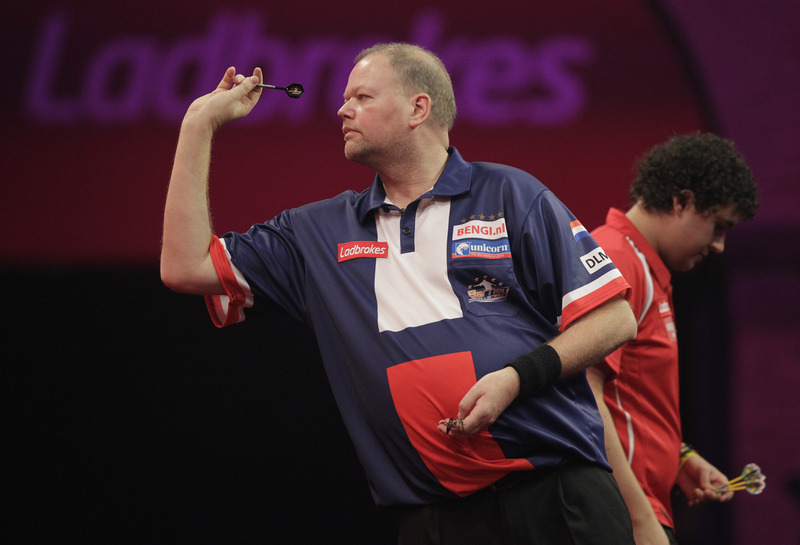 Raymond van Barneveld made a shock exit from the Grand Slam of Darts after losing out to Meryvn King on Monday. The reigning champion was eliminated from the Wolverhampton tournament despite winning two of his three group games, as his opponent went above him in the table by the margin of two legs.